The new Tamarindo Latin Restaurant & Bar is now open at the site that formerly housed Claire du Lune Coffee House at Kansas and University Avenues. As a native to my North Park neighborhood, I’ve seen the ‘hood’ during the good times (1950s) to the bad times (1960 to 1990s) and now back to the cool hipster era we’re currently living in. 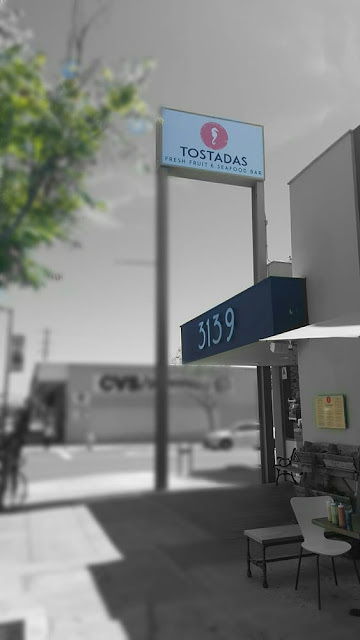 What makes me smile is thinking about how many restaurants exist today in North Park, especially those serving California/Mexican style cuisine. Back in the day, however, there were very few places in North Park to dine--period. 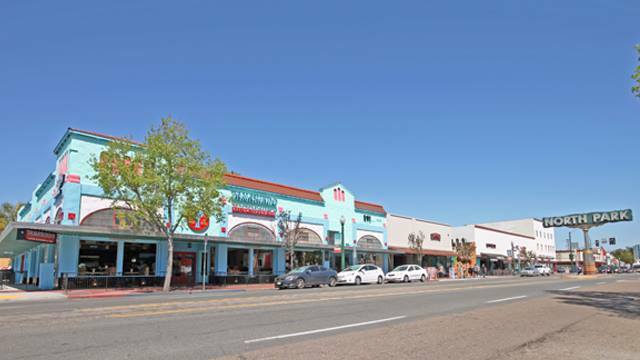 I remember Paesano’s, Chicken Pie Shop, Rudford’s and Carnation’s on El Cajon Blvd. and Jack-in-the Box at 30th and Upas. Today, North Park is noted for its plethora of south of the border style food, especially tacos. Somewhere in this blog, I’ll get to the point and list popular Mexican style eateries in the ‘hood, but for now, let’s pretend its 1960 again. Summer time in North Park. Robin lived on Utah Street near Capps Street, we were both 15 years old and ninth graders at Roosevelt Junior High. We were out on a date. At least, I considered it a date, but even though my heart was throbbing up to my throat, I knew she only considered it an outing with a school chum. I also understood she liked my basketball teammate Bob better than me. But for this afternoon, she was all mine, we caught a matinee at the North Park Theatre (when they were still showing first run films), had popcorn and sodas. I saved up all month for that outing and I was flush with $8 in my wallet. I didn’t want the time with her to end. After the movie, I suggested we go to Jack in the Box at Upas and 30th. It was a bit of a hike, but that gave me plenty of time to work up the courage to hold hands with her. It took me five blocks to finally reach for her hand. To my amazement, she accepted our linkage casually like we’ve been doing it for years. But, my overwhelming joy only lasted one block as we arrived for our feast of ground beef tacos (2 for 50 cents) at Jack’s. We never held hands again as life sped by, but I still have the memory of a ninth grader, who was with what he considered at the time, the best looking girl North Park in 1959. So, now I’m back to thinking about Mexican cuisine in North Park. 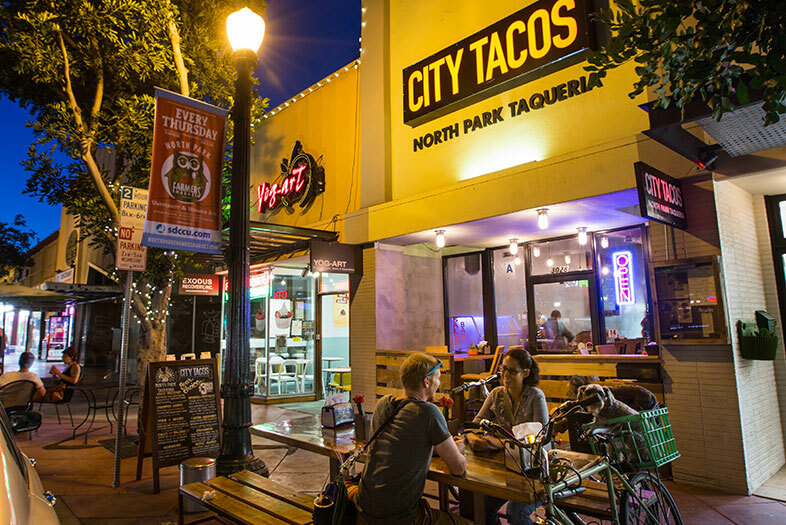 The following is a list of of North Park’s growing collection of tacos and such.